Location:No longer in the desert! You'll have to excuse the lack of posts, being out of the country a lot of the time is a bit of a nightmare but I flew back on Thursday and some more NVA items were awaiting me! 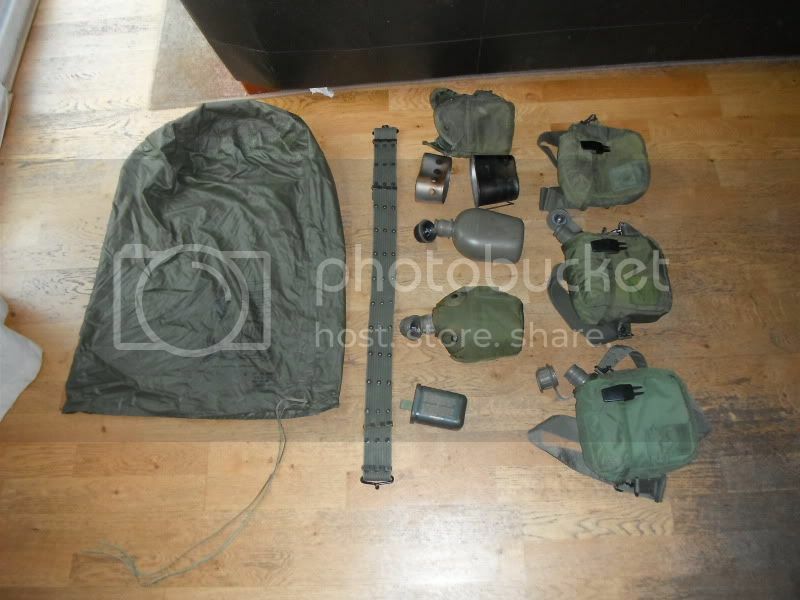 Webbing belt and straps are in the backpack and a chemical suit and mask are in the loft but I am most of my way there to having a decent level of kit to play as NVA. Bottom two are going to get furniture changes when I can get a hold of the right upper and lower hand guards and a nasty stock for the 74. 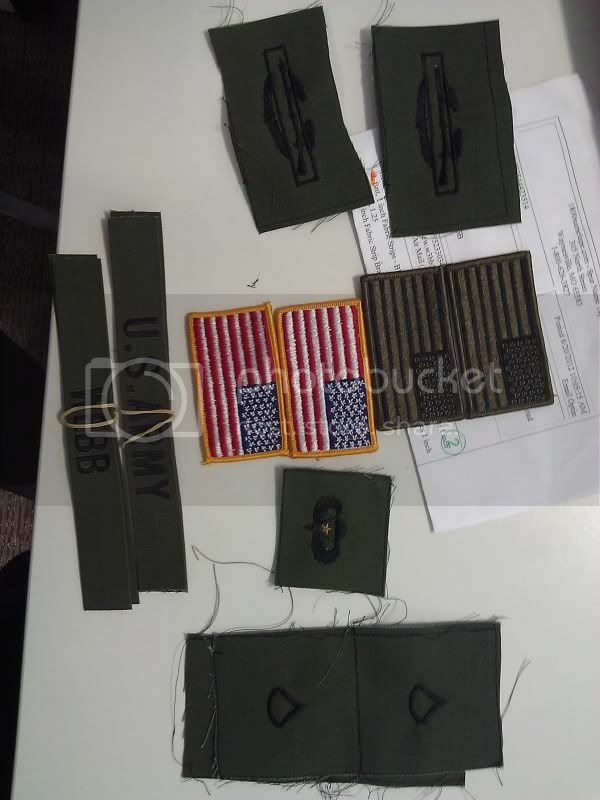 Set of name tapes and patches etc for Airborne qualifications etc. 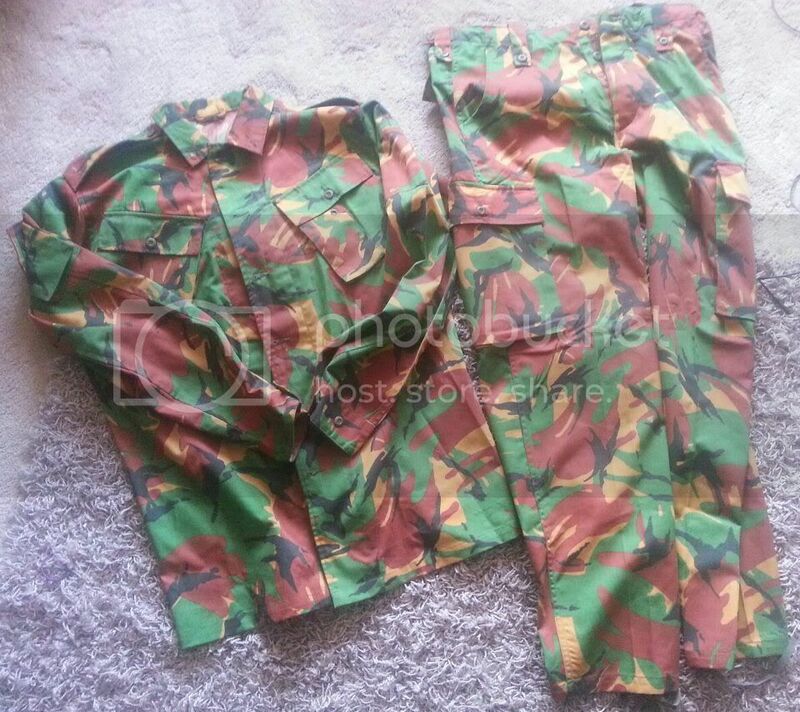 Set of M81 woodland in both early heavy cotton and later ripstop. Anyone know of a good repro PASGT lid, dont mind a original if its cheap. 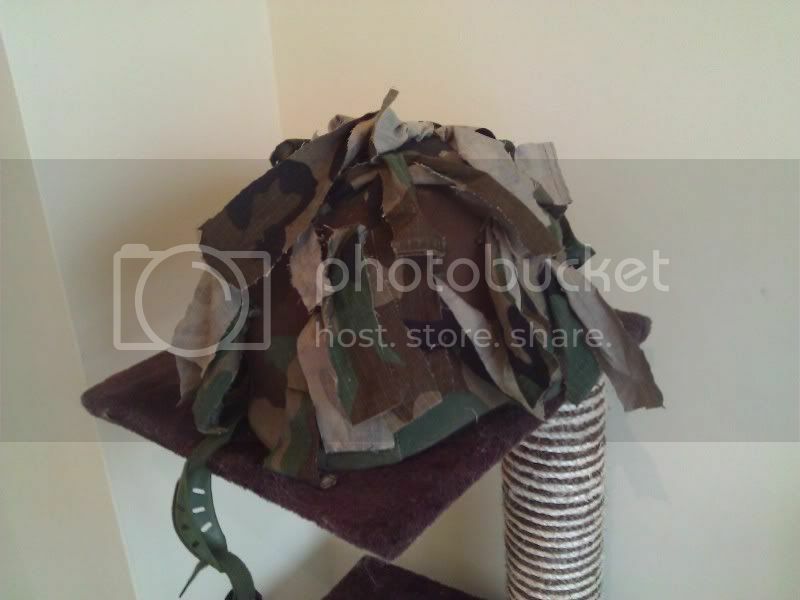 Also, if anyone is turning their lid into an 'oscar the grouch' special, I cut up my old Woodland trousers, so I have lots of strands of material spare to dish out. Does anyone have any objections to para wings being worn when not earned before I sew them on? Send a pm to a guy called Dirt Diver he did have one for sale. 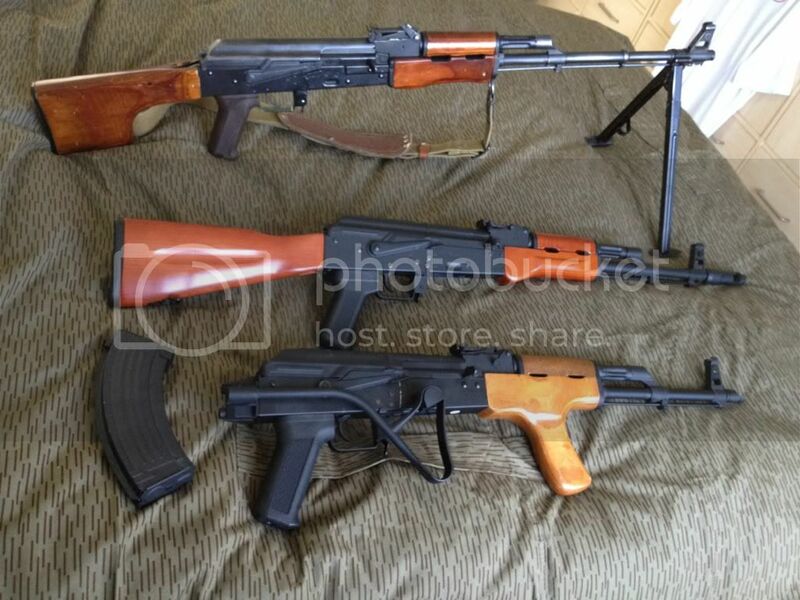 As the great warrior poet Ice Cube once said, if the day does not require an AK it is good. Went to a friends last night who served in P-coy in the 80s. About that time they went over to the States to meet the chaps of the 82nd, where they exchanged kit and weapons to train on it. 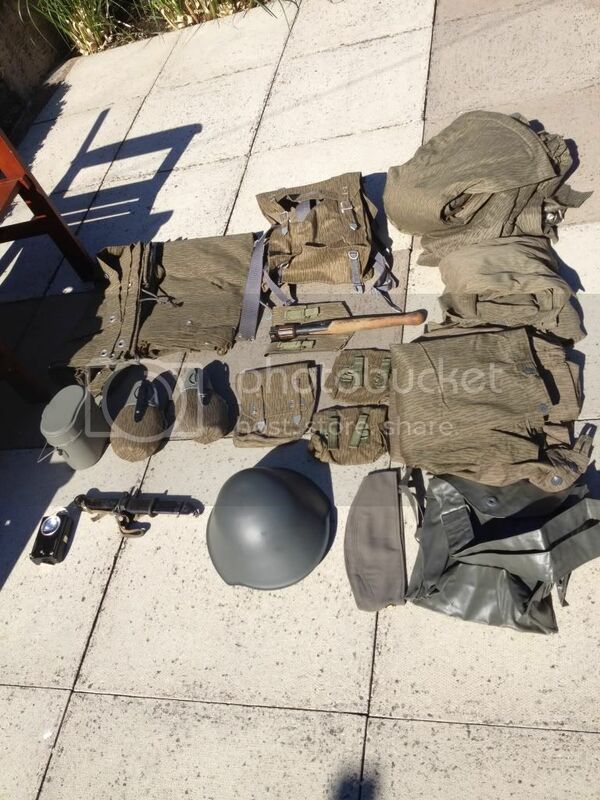 He brought back some bits and bobs, and after trading him for my old WWII webbing I now have all this! Some of the water bottles still have the original puri-tabs in the little pockets! Anyone know what went in the small box at the bottom of the pic? It says something about corrosive and de-contamination material? M1 helmet chin-strap which I'm going to chuck on my PASGT lid to replace the nasty nylon POS which is on there at the mo. Olive green neck towel for Nam load out, £2.00 Khaki short sleeved shirt for Salerno load out £6.00 landed. Thats about it at the mo.........but got goodies on the way! 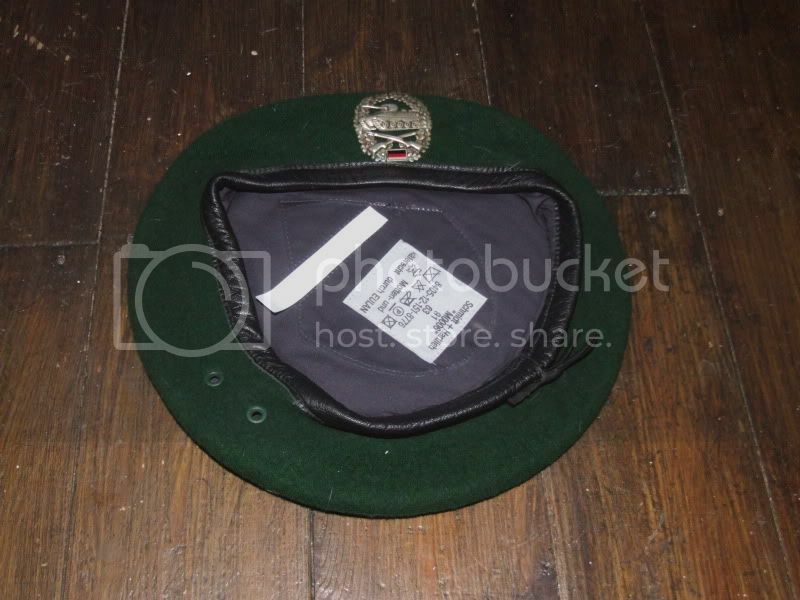 West German Mechanised Infantry beret. Also a charity shop in my town as an westgerman army lightweight combat jacket for a fiver... does anyone need one for Double Barrel? Ares SLR and magazines arrived courtesy of Borg Cymru. Getting a battery so I can try them. Ares SLR arrived from Taiwan just over £400 all in. Cuban made FAPLA (Forças Armadas Populares de Libertação de Angola) grey lizard camo shirt. Finally joined the SLR club.